Here’s the concept. I consider each of The Beatles’ twelve studio albums in their best form (i.e. their British releases) and rank them according to which albums I most want to listen to, end to end, right now. I’m ignoring the Yellow Submarine soundtrack (which most people like to pretend doesn’t exist) but including Help!, A Hard Day’s Night, and Magical Mystery Tour. With pretty much every Beatles album, you can logcially make a claim of perfection — or at least greatness that supercedes perfection. “Sure, The White Album is fractured and quirky, but its sprawl is so dizzying and compelling.” With Let It Be, there’s no “but…” in there that justifies just how gloppy and inconsistent it is. There are a few transcendent tracks. But there aren’t enough of them for Let It Be to lose the title of being my least favorite Beatles album. Why it’s not higher: The Long and Winding Road makes me nauseous. Only ten real songs. The only Beatles album that is unquestionably worse than the previous one, which makes it the only disappointment in their catalog. What is so remarkable about Please Please Me is that it’s good. And that’s it. It’s not great (besides the three mandatory classics that should be on everyone’s iPod). It’s certainly not bad. It’s mostly remembered so fondly simply because it was The Beatles’ first album and because it’s not particularly objectionable. Why it’s not higher: Minus a few tracks, this is merely good early sixties pop. There’s impeccable craft, but the songs and the sound are just above average. Why it’s not lower: The title track. I Saw Her Standing There (“One two three FAH!”). 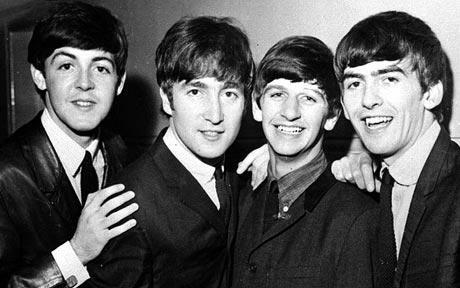 Twist and Shout — which is the flukiest Beatles track ever because its charm is poor craft (John’s dying vocal chords). There’s no such thing as an underrated Beatles album — remember that AllMusic has given its prestigious five-star designation to every album on this list except Let It Be — but if there were, Beatles For Sale would be the one. Its three opening tracks are probably the three darkest from the first half of The Beatles’ career, and they’re also quite good. The rest of the album doesn’t quite live up to the intro, with only a few exceptions. Then again, look at those exceptions: Eight Days a Week, I’ll Follow the Sun, and the most underrated of all Beatles tracks, What You’re Doing. Why it’s not higher: Too much folksy country filler, including the regrettable Mr. Moonlight. And there’s a Chuck Berry cover that reminds us that they’re just a bunch of white dudes. The album’s also a bit too long. Why it’s not lower: Awesome opening set. What You’re Doing. Consistently great harmonies and melodies and craft. With The Beatles is kind of like The Godfather 2 to Please Please Me’s The Godfather. The good moments aren’t nearly as iconic. There’s no “leave the cannolis” (Please Please Me), no sleeping with the fishes (I Saw Her Standing There), and no horse head (Twist and Shout). But it’s smarter and richer and better executed and a few shades darker. Why it’s not higher: Still just straightforward pop. A small handful of forgettable tracks. Why it’s not lower: All My Loving is so great. One of my favorite songs ever. And it’s one of many great ones on With the Beatles. What do you get when you slap together, with no real cohesion or theme, two 10 out of 10 tracks (Help!, Yesterday), a 9 out of 10 (I’ve Just Seen a Face), and a large array of 8/10s? You get The Beatles’ eighth best album. There’s no real flow or feeling that this is anything more than a mixtape or soundtrack, but then every song is somewhere between quite good and perfect. It’s a bit frustrating, really. Why it’s not higher: Because it just feels like an uneven Greatest Hits album. No cohesion. Also, I’ll nitpick: there’s two dud songs, You Like Me Too Much and Tell Me What You See. Why it’s not lower: It pains me to put this at #8, because this is one of the most consistently good Beatles albums. It has Help! It has Yesterday. But it’s just not as fun or coherent or lasting as some of the other albums. Magical Mystery Tour is just as disjointed as Help!, and it has a greater percentage of tracks that I skip over. So why is it ahead of Help? Because the songs that I don’t skip are peak Beatles. Psychedelic and bizarre in all of the good ways. They sound experimental, and each experiment is a success. Fool on the Hill. I Am the Walrus. Strawberry Fields Forever. All You Need Is Love. Why it’s not higher: A few too many duds and not enough unity. Why it’s not lower: Most bands would do terrible things to have a greatest hits album feature about six of these tracks, let alone one studio album. The single most fascinating album ever released. If this album had never been released, and its concept was explained to music fans everywhere – a huge double album whose quirks effectively document every reason The Beatles were great but also every reason The Beatles self-destructed, filled with some of The Beatles’ alternately best and most polarizing tracks, including a small handful of masterpieces – it would be sheer fantasy. It would be like making up an album where Buddy Holly, Kurt Cobain, Ian Curtis, and Jeff Buckley rise from the dead to record together. But here The White Album is, and people still don’t fully get it. I know I don’t. I’m not even sure I like it sometimes. Yet I keep listening, keep hoping in vain that it will somehow piece together into something sensible and comprehensible. It won’t. Why it’s not higher: There are definitely some bad tracks. And there’s certainly too much going on; the loose ends tie up about as well as a bowl of spaghetti. The confusing thing is: nobody agrees what the bad tracks are, and some people think the album’s excesses are its greatest trait. Why it’s not lower: While My Guitar Gently Weeps, Back in the USSR, Blackbird, etc. Each just thrown off like simple exercises, when each would’ve been Best Track Ever for just about any other band. There have been times in my life when I would have put Abbey Road at the top of this list. But I’ve just listened to it too much. It’s a bit too polished and clean. It aims to be more focused and less challenging than other Beatles albums; in turn, it’s an easier listen but an ultimately less satisfying one over the long term. Still, even after all of these spins, it still goes down so smoothly and delightfully, and some of the tracks are all-time keepers. Why it’s not higher: It’s over-familiar at this point, not as deep as some of the Beatles’ other works, and there aren’t quite enough mysteries to unravel. Why it’s not lower: One great song after another: Come Together. Something. Oh! Darling. Here Comes the Sun. Because. The Medley… Should I keep going, or do you want to just look up the track list yourself? Plus it has a pleasant, professional polish to it. It’s cohesive and guitar-driven. The first time I listened to The Beatles’ discography straight through, the moment I decided that The Beatles were unquestionably the greatest band of all time was ten seconds into When I’m Sixty Four, when the chamber hall band is just bouncing around before the verses start. It’s not the most remarkable moment for the band — in fact, it’s not even close to the most remarkable moment on the album — yet it’s an extremely confident and unique touch. It sounds like nothing else in rock and roll, but it feels immediately familiar. It’s a nice microcosm of what makes Sgt. Pepper’s so great. Why it’s not higher: The songs, on a whole, just aren’t quite as good as the ones on other albums. For every A Day in the Life – which may require that you change underpants following the first time you listen to it – there’s a Good Morning Good Morning, which is only decent as a composition once you strip away the soundscape wizardry. Why it’s not lower: No album sounds better. Sgt. Peppers is kaleidoscopic, psychedelic, intricate, beautiful, daunting, terrifying, mystifying — insert any adjective which implies that it evokes a powerful response. Putting it above The White Album and Sgt. Pepper’s will pass as heresy in some circles, but you read the introduction, right? What do I most want to listen to, right now? A Hard Day’s Night fits comfortably in third place. It’s just… perfect. I don’t know; maybe I use that word too lightly. But if you were to ask me what the prototypical rock album is, I’d burn you a copy of this. It has the rockers, the ballads, the album tracks, the consistency and variety. It gels together as if made by skilled craftsmen, but it flows with hooks and ideas that come from burgeoning artists. I have no complaints. Why it’s not higher: Because, as flawless as it is, it’s still not The Beatles’ greatest album. Why it’s not lower: No bad tracks and lots of great ones. No covers, only Lennon-McCartney. True cohesion. The greatest album-opening guitar chord of all time. The biggest miracle of Revolver may be that the Beatles covered so much new stylistic ground and executed it perfectly on one record, or it may be that all of it holds together perfectly. Either way, its daring sonic adventures and consistently stunning songcraft set the standard for what pop/rock could achieve. Even after Sgt. Pepper, Revolver stands as the ultimate modern pop album and it’s still as emulated as it was upon its original release. Why it’s not higher: Revolver might be the consensus greatest Beatles album (if Rolling Stone re-did its poll of writers and musicians post-remaster, after everyone has listened to all of the albums again, I bet Revolver would win #1 this time, not Sgt. Pepper’s), but it’s not my favorite. Why it’s not lower: Few albums are as bold and perfectly balanced at the same time. It launched a dozen genres of music. It’s artistically significant without being pretentious. Simply, it’s a true pleasure and watershed album. If I have a consistent complaint with The Beatles’ releases from Revolver through The White Album, it’s that too often the tremendous displays of sound and style distract from the songs themselves. But here, I have no such complaints. Even the boldest tracks here — Michelle and Norwegian Wood — just come across and rich and powerful instead of experimental. It’s convenient that the last Beatles album to focus more on the songs themselves — instead of the way the songs sound — happens to feature the band’s best set of tracks. I’d be hard pressed to name an album by anyone with a set of songs I like more. Here are the highlights: Drive My Car, Nowhere Man, In My Life, Norwegian Wood, Michelle, Girl, The Word, Think For Yourself… and so on. One underrated feature of Rubber Soul? The song lengths. Every track is between 2:00 and 3:30. They don’t miss a beat — their greatness is concentrated down into something infinitely satisfying. There have been great songs throughout the years — The Police’s “Every Breath You Take” and No Doubt’s “Don’t Speak” come to mind — that actually seem worse because they’re about a minute longer than they need to be. They wear out their welcome. Rubber Soul gives you exactly what you need. No more, no less. Why it’s not lower: The understated sound, but moreso, the songs. An album is only as good as its songs, and Rubber Soul has the best of them. If you enjoyed reading this, please stick around and check out some of our other classic rock features, such as our list of The Top 100 Billy Joel Songs. FYI – it was John Lennon’s dyeing vocal chords on “Twist and Shout”. Yea.. that wasn’t Paul, that was John. me: that pic is not the beatles . admin: it is, you know..
me: but ive seen them , they lived in my house ..
I’ve been listening to these since they were released in the U.S. in the 80s and Ive been listening to the American LPs of Beatles for 45 years so my opinion is valid. Pepper is not their best effort. If it contained Penny Lane and Strawberry Fields (recorded during the Pepper sessions) it would be number 2) Also Let it Be was kept in the can a year.- doesn’t deserve a top spot. Neither does Abbey Road with almost a full side of unfinished songs disguised as a medley. Beatles For Sale deserves a better spot. They showed much growth in this period.